Charter your private jet service with Charter Flight Group for travel in and out of Eagle County Regional Airport, also known as Vail/Eagle Airport or Eagle Vail Airport. As private aviation experts for more than 30 years, we proudly offer private aircraft charters to meet all of your personal and business private flight needs. The private plane charters arranged by Charter Flight Group will help you avoid the stress of today’s commercial airline travel. Charter Flight Group offers you access to the safest and best private jets available today. Our private charter consultants will find the right aircraft to accommodate all of your needs for travel to and from domestic and international destinations. expectations you have of private jet charter service. Rent luxury jets for recreation or enjoy executive air charters to Eagle County Regional Airport (EGE), which is located within a few miles of the Vail and Beaver Creek ski resorts. Charter Flight Group can save you time and energy by making all of your arrangements for you. Ee are available 24/7, 365 days a year, to arrange your business or leisure travel in and out of Eagle County Regional. We also offer very competitive pricing for empty legs and one-way legs. Every one of our carefully-selected global jet charter partners is required to meet the stringent Federal Aviation Administration (FAA) Part 135 standards for aviation operation, aircraft maintenance and licensing. We have also selected aviation safety leaders Aircraft Research Group of the United States (ARGUS) and WYVERN to perform third-party safety audits on every private jet charter we arrange. Charter Flight Group is committed to the safety, comfort and privacy of your friends, family and colleagues. Eagle County Regional Airport, or Vail/Eagle, is a general aviation airport located just west of Eagle, Colorado. In 2010, the airport was rated #8 on the History Channel’s list of Most Extreme Airports due to the altitude, weather conditions, a mountainous approach and challenging departure procedures. Several years ago, the runway was repaved and lengthened to 9,000 feet, enabling aircraft to take off with more passengers and fuel. The airport is the second busiest airport in Colorado (after Denver International) during the winter months. Because it can accept larger aircraft than Aspen and weather patterns allow it to stay open more frequently, many travelers fly into EGE instead of Aspen and other mountain airports. Charter Flight Group can arrange on-demand chartered private flights in and out of Eagle County Regional Airport for leisure and business travelers who want to avoid the congestion of Denver International, which is the 11th busiest airport in the world. Clients chartering private aircraft to and from Vail/Eagle will find that this airport provides convenient access to Vail from domestic and worldwide destinations. Charter Flight Group proudly provides stress-free chartered private flights to Vail, Colorado, to meet your individual travel needs. 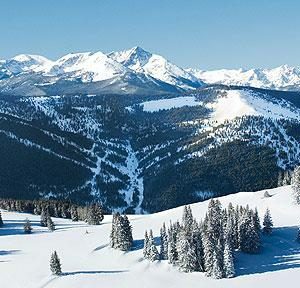 Recreational travelers to the area can spend time in the affluent Vail community and enjoy Vail Ski Resort on the second largest ski mountain in North America. The town is surrounded by the White River National Forest. While the town’s economy revolves around winter ski tourism, it is also a summer resort and well-known golf center. Private jet charters to Eagle County Regional Airport in Vail, Colorado will also place you within 97 miles of downtown Denver, Colorado’s capital city. Business air charter travelers can take advantage of easy access to Denver’s business district and the headquarters of notable corporations such as Arrow Electronics, Coors, DISH Network, DaVita, Newmont Mining and Western Union. Leisure private air charter clients will appreciate easy access to Colorado’s gold and silver mining history in Denver and surrounding towns. Enjoy tours of the U.S. Mint, the Molly Brown House Museum, Buffalo Bill Museum and Grave, and several other art and history museums in Denver. The city’s location at the foot of the Rocky Mountains makes it ideal for all types of outdoor sports such as biking, rock climbing and championship golf. The NFL’s Denver Broncos make their home in Denver. You could also take in a Colorado Rockies baseball game at Coors Field, one of the most beautiful baseball fields in the country. Denver also boasts plenty of fine shopping, dining and nightlife to entertain you and your travel companions. 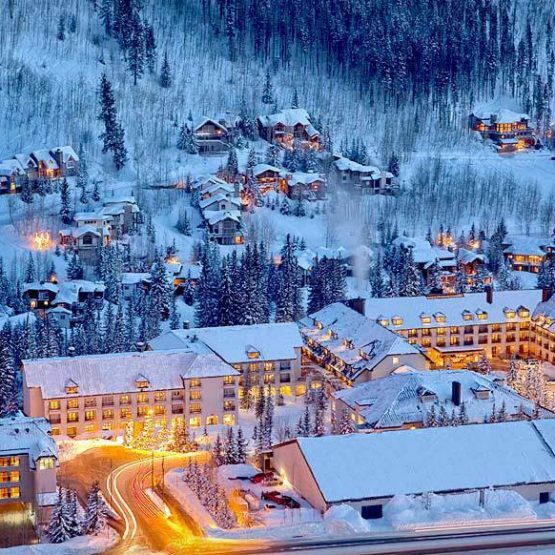 Why Choose Charter Flight Group For your Jet Charter to Vail? Charter Flight Group provides access to a huge network of private charter airplanes. Our air charter planners will help you safely and conveniently transport you and your colleagues, staff, family and friends in and out of Eagle County Regional in Vail, Colorado, or to any one of thousands of other destinations around the world. We will make your worldwide private jet charter flights exceptionally flexible, and can offer you highly competitive air charter rates, experienced pilots and professionally maintained private aircraft. Whether you are headed to Vail for business or pleasure, Charter Flight Group will provide you with the highest level of safety, flexibility and privacy.